Hello and happy new year my dear friends! I hope you are well and feeling fresh after a relaxing and fun break. I was lucky enough to have spent 9 days by the beach along the Mornington Peninsula, eating way too much delicious food and recharging the batteries. My days were primarily filled with reading, cooking, maybe a swim or two, walking, playing cards and chit-chatting with loved ones. It was lovely, just what I needed! It sure has been awhile between posts and I barely know how to begin writing when I leave it for so long. Since we last spoke, I have traveled to Japan, celebrated a special someone’s big 3-0, and I have enjoyed a lot of quality time with family and friends. I will keep this brief and wrap up now to ensure I get this post to you ASAP. But until next time I would love to hear from you – how did you spend the festive season? What delicious food have you been eating? 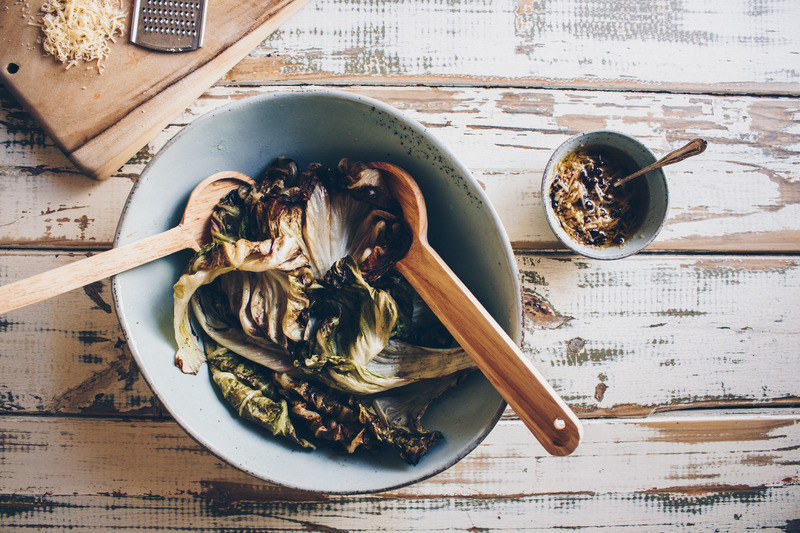 This Spring and Summer we have been loving this radicchio salad. Robbie chars the radicchio on the barbeque while I prepare the dressing. 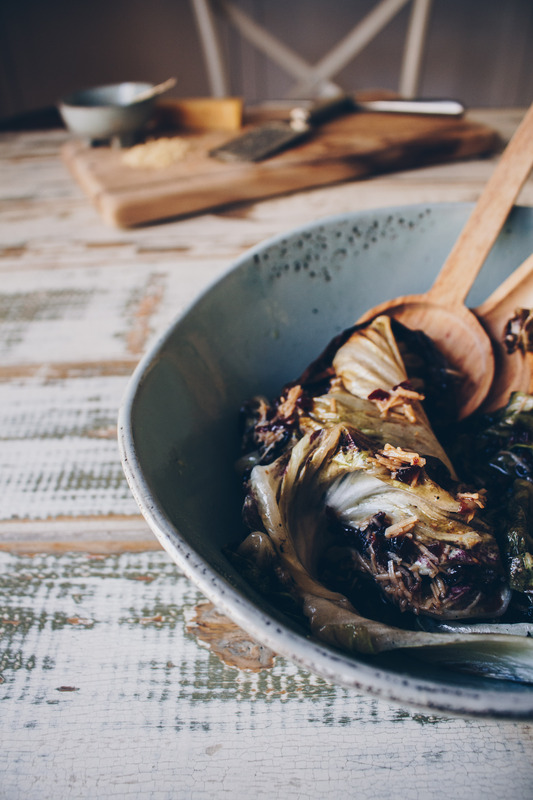 It’s simple but packs a flavour punch, and it’s low FODMAP and gluten free. Chat soon! Preheat a BBQ hot plate or a griddle pan on high. 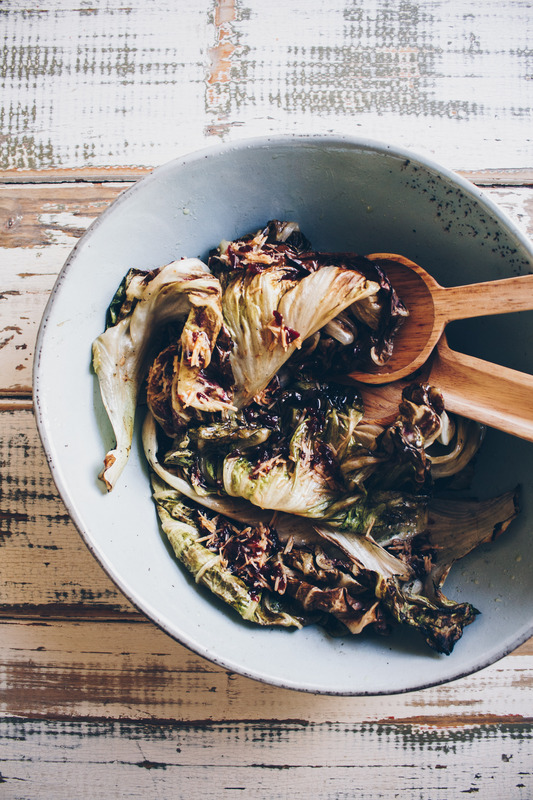 Separate the leaves of the radicchio, keeping them whole, and drizzle with a little bit of olive oil. Place leaves on hot plate for a few minutes, turning them occasionally. 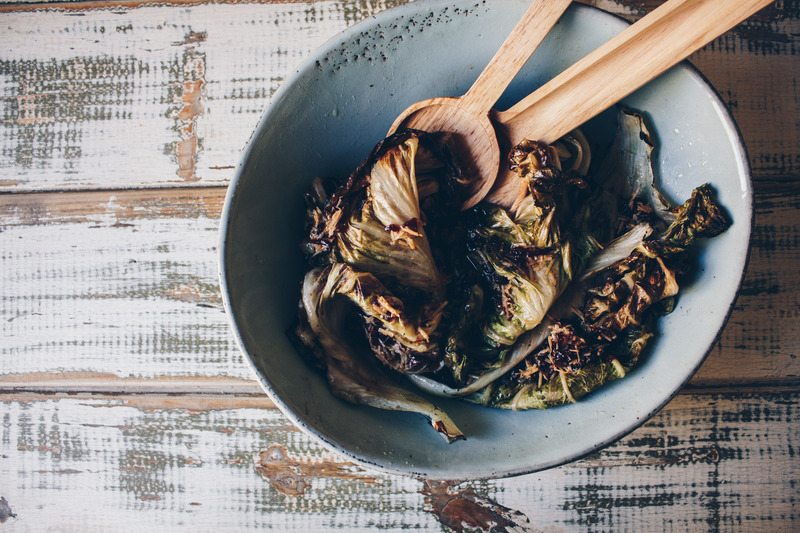 Remove the leaves once they are charred but still holding a nice shape and place them in a serving bowl. 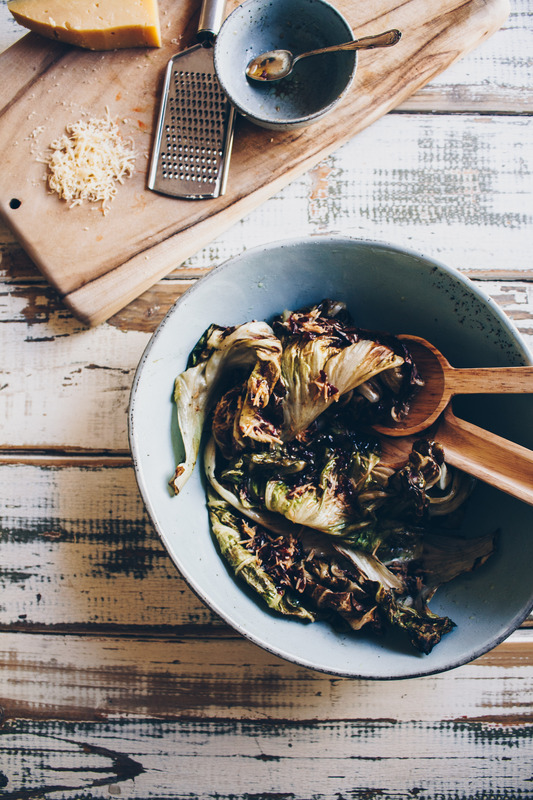 Combine dressing ingredients in small bowl and drizzle over the warm radicchio leaves.